Ray was excellent. He is a perfectionist and shows in his work. I was so empresses with his patience. Quick Fix on a Whirlpool warrantied item. No hassles. Very assuring to the client that the problem with refrigerator was solved in one service visit. Excellent service. Very good service. Technician was very knowledgeable. Great service! Ray was great! Ray was amazing! I would recommend him and paradise to all friends and family! ray is excellent, understanding & patient. He is going out of his way to help me fix my oven properly and timely. I needed a part and it came earlier than expected and Raymond was proactive in getting it to me! MICROWAVE WHIRLPOOL MMV1174FW2 "chk and test operation of m/w and fan. found grease seeping through cabnet due to small vent area. this m/w is venting out of front ceiling is to close causing grease to gather and drip into m/v cabnet, cust will clean and have vent positioned to go through roof, all test good"
REFRIGERATOR WHIRLPOOL WRF535SMHW00 "found refer not cooling, tech noticed that filter line dryer was placed at an odd angel and push in back rt side. when tech pull out he noticed crack in metal tube that comed through cabnet. called tech assit and not repairable7724644544"
MICROWAVE OTR WHIRLPOOL WMH31017HS2 replaced faughty door on M/W. all tesrt good. REFRIGERATOR KITCHENAID KRFC300ESS01 chk and tested refer found water dripping from dispenser . cust says she called w/p and will be getting exchange friday. REFRIGERATOR WHIRLPOOL WRS571CIDB01 "replaced refer door that had broken wires, all test good"
DISHWASHER KITCHENAID KDTE234GPS0 "replaced sump and mtr asstm, all test good"
REFRIGERATOR WHIRLPOOL WRF535SMHW00 "found compressor pull LRA amps, needs replaced; ordrng 1 W10507884 (compressor)"
DISHWASHER WHIRLPOOL WDTA50SAHZ0 "chk and tesh dishwasher, found upper spray arm not connected, repaired and tested, all test good"
REFRIGERATOR WHIRLPOOL WRS571CIDB01 "found that wrong door was sent by w/p connector is different, need door door covered under warranty; ordrng 1 LW10859844 (door) and 1 2ndtech (2nd tech)"
REFRIGERATOR KITCHENAID KSSC48QVS05 "found fill tube frozen again, called tech line for recommendations and advised tech to replace door.7724573595. 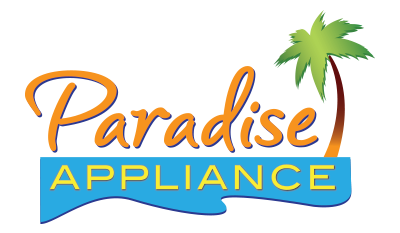 ; ordrng 1 LW10292433 (dor-fip us) and 1 2ndtech (2nd tech)"
DISHWASHER KITCHENAID KDTE234GPS0 "found dishwasher leaking from sump area, need replaced; ordrng 1 W11085683 (pump&motor)"
DISHWASHER WHIRLPOOL WDT720PADM3 Customer complaint not washing: found bad sump pump replaced it run diagnose test all components tested ok to manufactory specifics. DISHWASHER WHIRLPOOL WDT710PAHZ0 "repl sump assym, all test goodbuild 2 unit 208"
DRYER WHIRLPOOL WED99HEDW0 cust says change mind. will continue to use as is. MICROWAVE KITCHENAID KEMS308SSS04 "had to resch due to not receiving oven dolly, left ticked open to make sure oven dolly was not coming,; schdld next appmnt for 4/5 FRI !" DRYER MAYTAG MGD6000AG0 found broken door hinge replaced it run diagnose test dryer door close all components tested ok to manufactory specficis. OVEN WHIRLPOOL KFGG500ESS2 "replaced faughty sensor and control, all test goodw10622771a"
REFRIGERATOR WHIRLPOOL WRS321SDHZ00 "cust of refer compressor making loud noise, chk and test refer, temp in fzr reading 0 and refer reading 38, noise level within range, all test good"
WASHER WHIRLPOOL WGT4027EW1 Customer complaint leaking : run diagnose test no leaks info customer could be drain clog no signs of washer hoses been leaking all tested ok to manufactory specifics. MICROWAVE KITCHENAID n/a "found faughty m/w appl manger, cust will consider and will let us know." WASHER WHIRLPOOL WET4027HW0 "cust compl washer shaking in spin cycle , tech chk and tested washer, rep level legs and pust through test mode, no problems dup all test good"
REFRIGERATOR KITCHENAID KSSC48QVS05 "replaced leaking resvoir, all test good"
DRYER WHIRLPOOL CEM2745FQ0 Customer complaint coins getting jam: re adjusted coins tunel re run test dryer tested ok to manufactory specifics. REFRIGERATOR KITCHENAID KRFC300ESS01 "found fzr door not closing on left side and allowing warm air inside.repaired door and all test good,"
OVEN KITCHENAID KOSC504ESS01 "repl inner door glass that was damanged by faughty glass seal, all test good"
MICROWAVE WHIRLPOOL KMBS104ESS02 "FOUND THAT WHEN MICRO DOOR IS SHUT AND IF YOU GET RT NEXT TO IT THAT YOU WILL HEAR A SLIGHT HUMMING NOISE, TECH CHECKED AND TESTED MW AND ALL FUCTIONS ARE WORKING, SLIGHT HUMMING NOISE COMING FROM TRANSFORMER IS WITHIN RANGE. ALL TEST GOOD"
DISHWASHER WHIRLPOOL WDF520PADM7 Customer complaint not drainning: found clog air gap clear it run diagnose test dish washer tested ok to manufactory specifics. WASHER WHIRLPOOL MVWB835DW4 Customer complaint not washinbg : instruct customer feature operation washser tested ok to manufactory specifics.